The 6th Creek Catchment Group hope you find this website useful with the range of information provided on land management, field days, free courses, publications and links to other environmental organisations/groups. If you have any comments or suggestions, send them in! Control rabbits while green feed is limited, as this will increase the rate of bait uptake. Contact your local NRM Board District Officer for assistance. After the opening rains, prepare for early control of broadleaf weeds (eg. Salvation Jane) by spraying when plants are small – allowing for targeted and cost efficient control. Drill & fill exotic trees (eg. Ash, Willow) in the watercourse and aim to eventually replace them with native species. Check dam spillways are operational before the big rains (here’s hoping!). Take before and after photos of your property (eg. Fencing off a watercourse, revegetation, weed removal), to record your achievements and give yourself a pat on the back! Sweep up leaves from exotic trees to prevent them from entering watercourses and choking out aquatic wildlife. Woody weeds in bushland (eg. Blackberry, Broom, Gorse) can be cut & swabbed using an appropriate herbicide. Seek assistance from your local NRM Board District Officer. 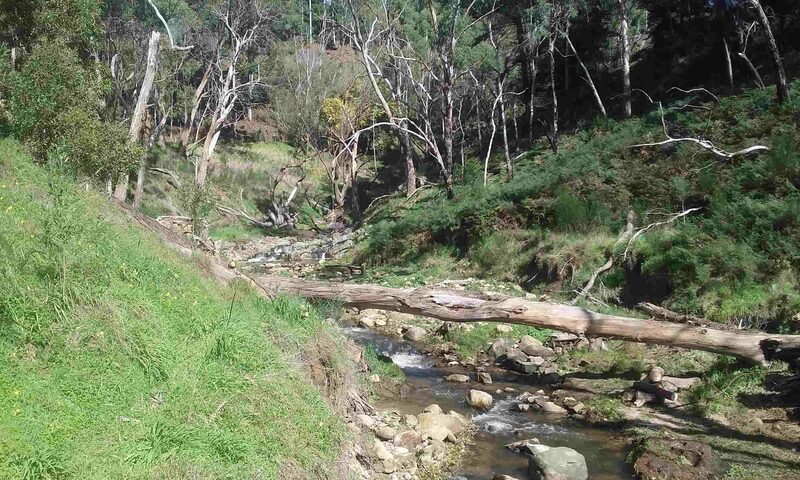 Sixth Creek Catchment Group are supported by generous private contributions, community action grants from the NRM Adelaide Hills and Mt Lofty Ranges and the local Adelaide Hills Council.